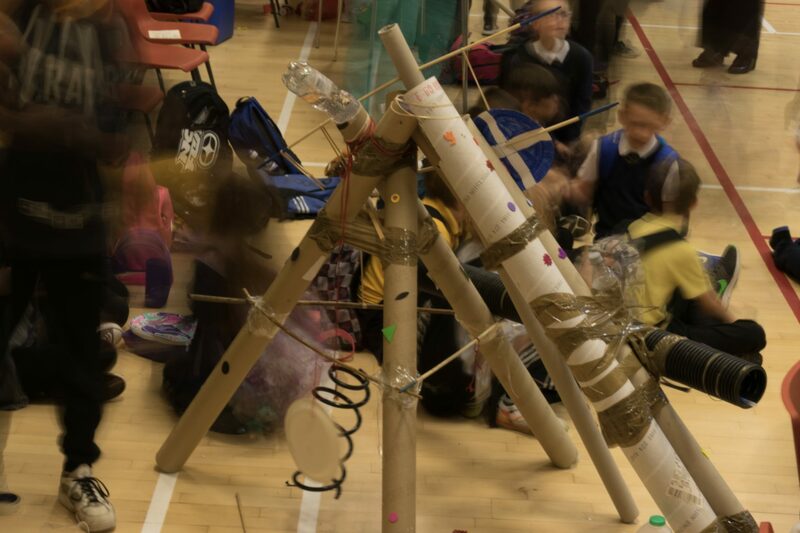 We’ve worked in the North East of Scotland delivering bespoke traditional music projects with young people with additional support needs, those in their early years, P6/7 pupils and secondary school pupils. 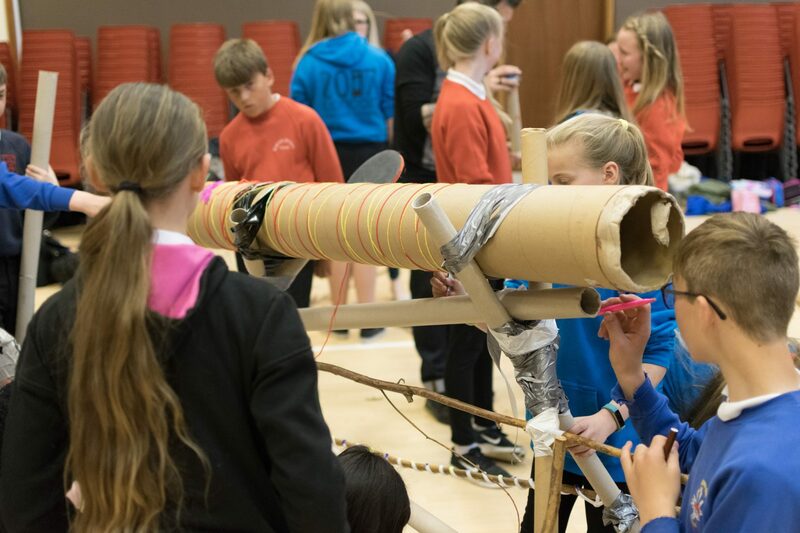 In recent years we have worked with P7 pupils in the Banff Academy catchment area exploring music, composition and sound engineering. 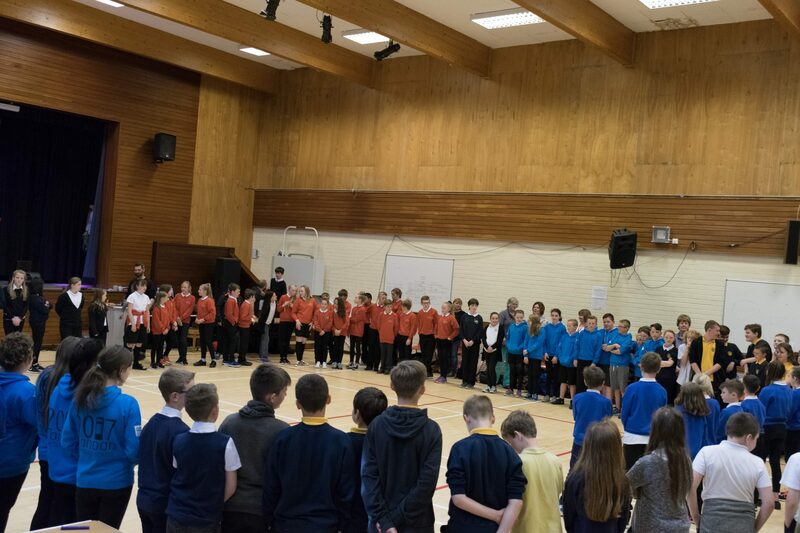 The classes have created short films to accompany their compositions, before coming together at Banff Academy to share their learning and take part in music making activities aimed at easing the transition from primary to secondary school. I thought it was fun and entertaining and I also feel more confident for coming up to S1! 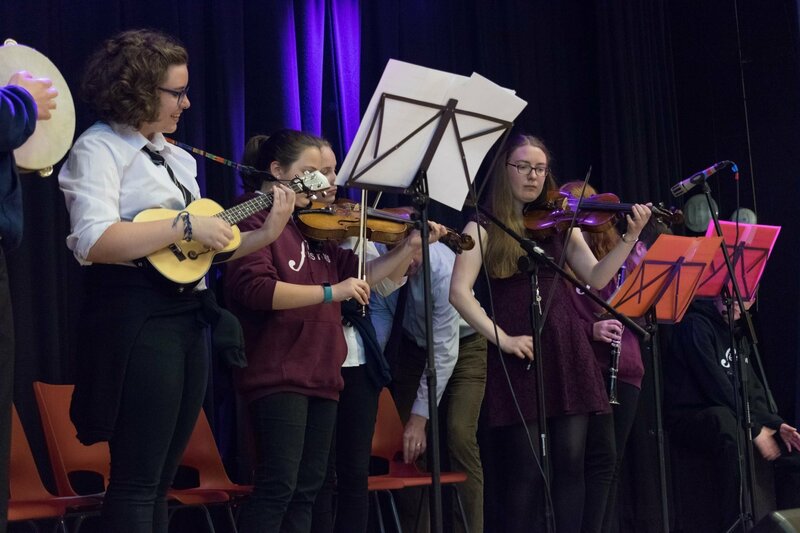 We have, over the years, thoroughly enjoyed working on different projects with Banff Academy and are delighted the staff and pupils have formed a trad music band called The Banff Academy Ranters. Listen to the band. These projects have been funded through Aberdeenshire Council’s Youth Music Initiative portfolio.